The Log’s Content Editor thoroughly enjoys all of the Dog Aboard submissions. With an incredible amount of canine cuteness, an entire spread is dedicated to all the delightful dogs in this issue. Photos are typically posted in the order they are received. 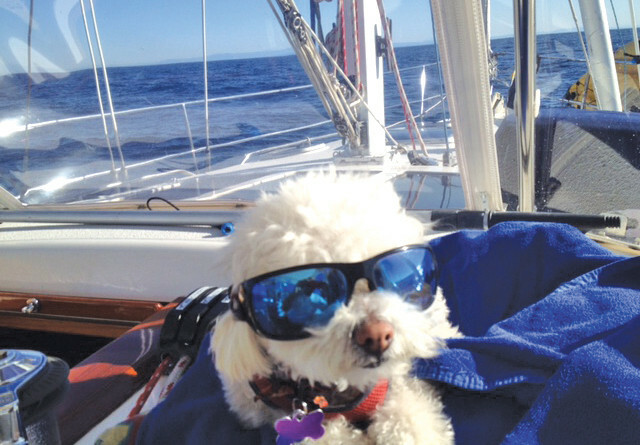 Sam, a 7-year-old labradoodle aboard Bright Star, is taking a break from playing. 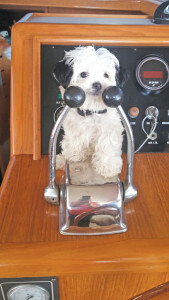 Sam likes to play ball even in the confines of Bob and Barbara Huffman’s 32’ Nordic Tug. 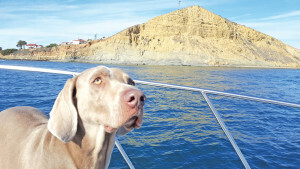 Lizzy accompanied Robin Windsor on her first solo trip to enjoy a stay at the Marina Cortez on Harbor Island. Lizzy is pictured her in San Diego Bay. Romeo has got his beautiful eyes on the birds at Point Loma. Love Bug and Skip proudly wear their life jackets. 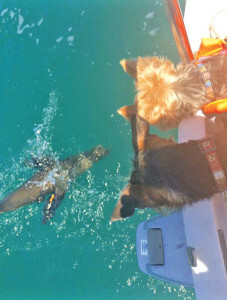 They are eager with anticipation for every thrilling sight and smell along the California coast from dolphins to birds. 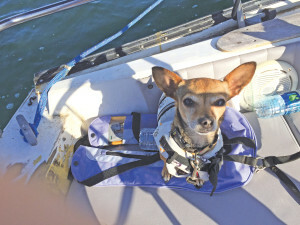 They sail with their Skipper Alexis Zahary and owner Billie Anne Bay. Walter is an avid sailor. At 12 years old, He has logged hundreds of miles sailing around Southern California. In this picture, Walter is heading out on Labor Day for a three week trip to Santa Barbara with stops along the way. 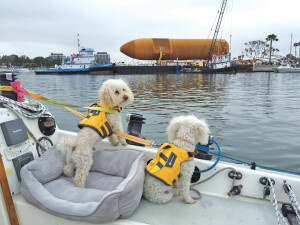 Sophie and Dash watch their sea-fairing counterpart off the Dana Point Harbor. 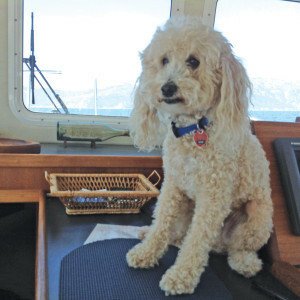 Tiarè came to live aboard with Janet and Michael Gosselin on Islander Freeport 41 at 6 weeks old. 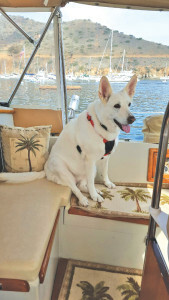 Pictured here at 11 years old, this white shepherd is ready to go to shore at Catalina to play on the beach at the Isthmus.